Ranbir Kapoor Will Compensate Distributors if Jagga Jasoos Bombs at the BO! The hullaballoo at the B-town is all about the Ranbir and Katrina’s new upcoming movie Jagga Jasoos. The movie is all about fun and comedy with a mix of emotion. Both the lead stars are making their attempts to popularize the context of the movie and trying all necessary promotional steps to make it a hit at the box-office. Well, that’s good that the stars are paving all roads to promote their movie, but in the same place the lead actor of the movie is skeptical about its success and he is making us keen to know what exactly is the plot of the movie that is making Ranbir nervous and doubtful about its success. If we go with the reports, Ranbir has made an open statement that if the movie does not work out at the box office he will compensate the distributors. These all happened when Ranbir was asked to comment on Salman's decision to reimburse Tubelight distributors. Ranbir said,"It has been going on since my grandfather's time in the 1950s. The style of making films where everyone makes money, not just the producers but also distributors and exhibitors. It's a healthy exercise. If someone loses money on something and you have made money out of it, it's good to compensate. But that depends on person to person and film to film," he further added saying "Personally, if my film fails and I am making money out of it, then I will pay back the distributors". The movie is released and is up on the theaters. We are still in a confusion on Ranbir’s statement to compensate distributors for any loss on the movie. What made Ranbir state this declaration? Is it because his previous movies did not do well at the box-office or he has no hope for this rom-com. Let’s see if the movie covers our expectations or not this weekend. How Did Ranbir Kapoor Become Sanjay Dutt? Kapil Sharma's Firangi Released and Bombed! Are Ranbir Kapoor's Beefy Muscles for Real? Ranbir Kapoor is Truly Unbelievable in His Sanjay Dutt Avatar!!! Ajab Prem Ki Gazab Kahaani Ends! Director Anurag Basu will make cameo in 'Jagga Jasoos'? Revealed: why Katrina is not sure of promoting 'Jagga Jasoos' with Ranbir Kapoor! How to Make Movie Theater Popcorn! 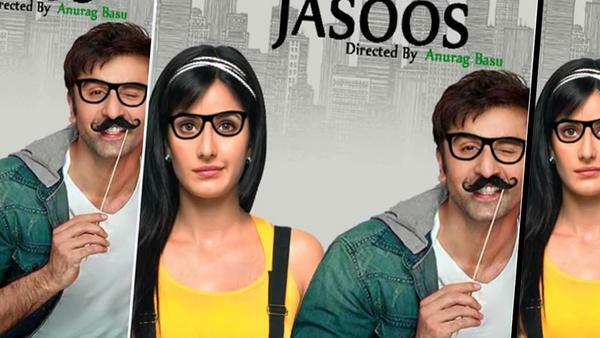 Acrimony Affects Shooting of Jagga Jasoos!